With more than 40 years of sewing under her belt and industry experience that spans over 25 years, Denise has a vast pool of knowledge from which she draws as she travels around the United States. Denise is equally comfortable holding product or sales training to Retailers or holding one of her Quilting Retreats for consumers. 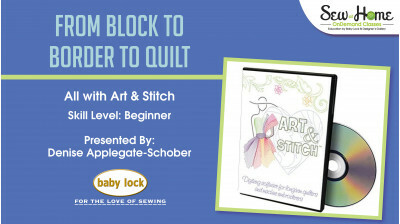 Denise is fully knowledgeable about all of the products in the Baby Lock line and has a deep understanding of ProStitcher and Art & Stitch. She is very passionate about the sewing industry and she is always excited to share her knowledge of quilting and sewing with others. Among Denise’s creative accomplishments are many entries in art galleries, quilt shows and art shows. 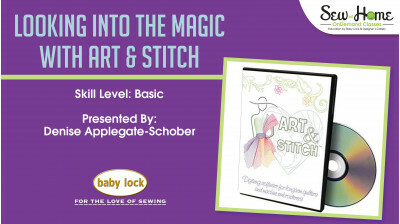 She has appeared as a guest on America Sews with Sue Hausmann, Martha’s Sewing Room with Martha Pullen and worked with Martha Stewart designing embroidery designs for towels on her television show. Denise does trunk shows and teaches at numerous shows across the United States and abroad. Denise lives just north of Ann Arbor, Michigan with her husband Les.